If you’re looking for a professional massage therapist, you’ve come to the right place. Come enjoy a spa day in a nice comfortable environment. Amazing Hands Day Spa offers a variety of body treatments that will have your body in a tranquil state of serenity, calmness, and relaxation. Amazing Hands Day Spa, Memphis has design the Spa Packages with your health and body in mind. Spa packages are designed for you to have a pampered spa day. Spa packages are a great way to relax, refresh and renew. Treat yourself to Memphis' ultimate massage experience. We are located conveniently in the Bartlett Memphis area, just minutes away from Midtown, downtown, Collierville, Germantown, Arlington and Lakeland. We cater to both out-of-towners and locals alike. We specialize in therapeutic massage, including deep tissue massage. We believe in the body’s ability to heal itself and massage therapy is one of the many paths to restoring health and wholeness to the body. Amazing Hands day spa offers the ultimate massage experience like no other that lets your stress drift away as you relax and experience a luxurious massage. Feeling overwhelmed by the worries and stresses of life? 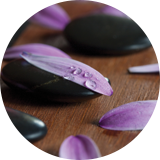 Our spa is the place where you can get away from it all and come out feeling refreshed, relaxed and invigorated. Allow our massage therapist to help you relax and escape the pressures and stress that stand in the way of achieving a healthier you. The time we spend on earth is all so precious. None of us know how each day will begin or end, but we do know the essence of genuine love and friendship. Love is what makes life worth living. Take the time to spoil yourself or someone who gives unconditionally of themselves and asks for nothing in return. When you want to show your love, go beyond words!! Spoil that special someone with Memphis’ ultimate massage experience. We encourage you to come in and see why our clients keep coming back to be pampered with one of the best rated massage therapy in Memphis. Get in touch with us today to schedule your spa day!